Do you enjoy coloring your hair at home? 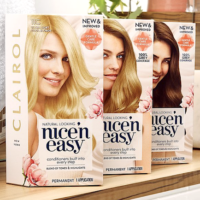 Make a stop at our coupons page to print this new Buy 1 Get 1 FREE Clairol Hair Color Coupon – up to $7.99 value! Remember to pair it up with a sale for the best possible deal. Print it while you can!